Students were offered an Ordering Fraction Models Extra Credit Assignment in class this week. It is due next Tuesday. No late work will be accepted. **They were given specific instructions to show their work so I can see how they compared the fractions to one another. I will not give credit for “I did it in my head”. We discussed possible strategies, and they all agree that converting them all to decimals would work, although there are other ways to show me how they ordered them. Homework: Perimeter/Area/Volume SOL review sheet. Students were reminded to use the “Brain Dumps” for visual reminders as to what to do to calculate each. Parents, ask your kids to explain what the “Brain Dumps” are and how they use them. There is plenty of work to be shown. **ELIMINATE MENTAL MATH ERRORS BY SHOWING YOUR WORK. Please sign/return report card envelopes by end of week. Let us know if you are requesting a conference in the space provided on front of envelope. If you scroll down to my 3/15 post, you’ll see several updates and calender reminders to be aware of. Report Cards were handed out today(3/15) for the 3rd 9 weeks. Keep the report card and sign the envelope. Check the space provded if a conference is requested, sign and return envelope only. The Book Fair started today with students beginning to preview during their encore period and will continue through the 22nd. Mr Sparico’s class has library next Thursday the 21st. That would be the best day to send your child in with $ to purchase. A flier was sent home with more details. Spring Picture Day is next Wednesday 3/20. Send NO $. A proof set will come home with details on how to purchase. Wednesday the 20th is also the LCES Curriculum Night/Family Book Fair Night from 5-7PM. March 25-29 Family Life Instruction will be taught during PE. All students participate unless an opt-out form was signed and returned. March 28th is our 5th Grade Field trip to the Friends of the Rappahannock. 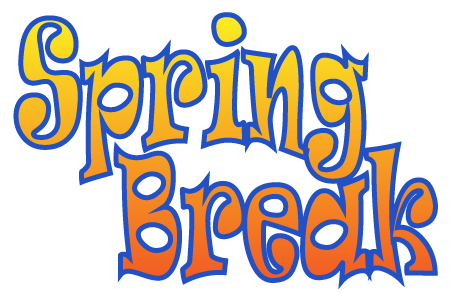 Dress for the weather, wear comfortable shoes, pack a lunch/snack/water(unless a school lunch was requeted). ***No electronics. March 29th is an LCES School Spirit Day and a PTA Treat Friday. Wear your school/club gear and bring a buck to buy a treat. Homework: The fraction unit test was started today. Homework is to take notebooks home and review adding, subtracting, comparing and ordering fractions and decimals. This will be the 1st test grade for the 4th 9 weeks, so they will want to start off with a good grade. The Book Fair begins tomorrow and ends next Friday. Make sure your kids are prepared to shop if they would like to purchase books next week. Mr. Sparico’s class has library on Thursday next week. The LCES Family Book Fair/Curriculum Night is Wednesdy 3/20 from 5-7. Homework: Students(some) from Ms Guedri and Ms Callahan’s classes have math review quiz corrections from last week to complete and turn in before announcements tomorrow. All students were told there will be 2 assignments(see below) this week to review for every day, so notebooks should be coming home. Tomorrow 3.14.19 is National Pi(3.14….) Day. Mathematical Pi that is. **Send your kids in with some “Pi”e to celebrate with at lunch. Tomorrow is also the LCES Talent Show from 6-8. ***Any BETA members interested in helping work the snack stand, please come out and help. I will be there along with Mrs St John to monitor and handle the $$. Our Club gets all the proceeds from amy sales tomorrow.